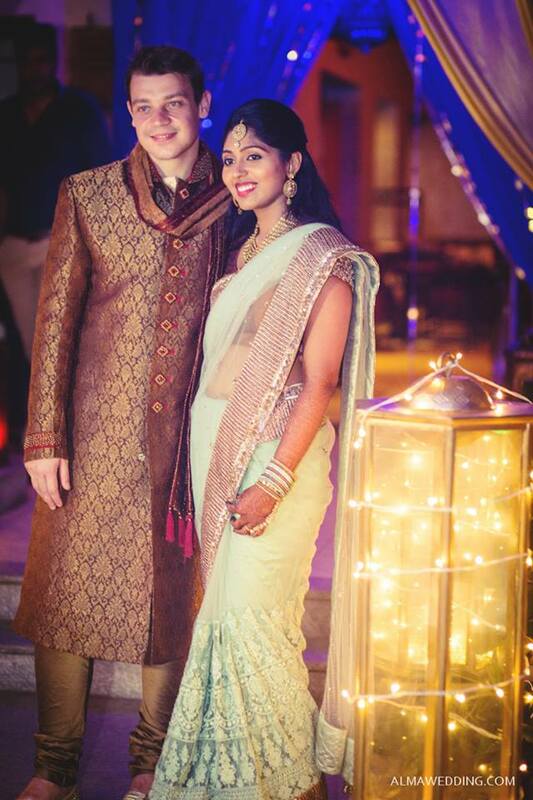 Glowing at Their Indian Wedding! 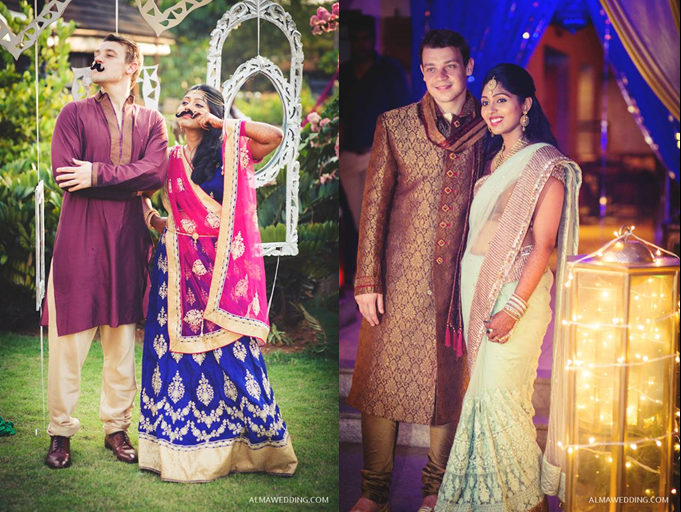 Meet The Real Wedding Couple: Anasuya & Ben! Anasuya belongs to a Keral family and Ben is from the UK. They met each other at work, some good old romance worked its magic and they fell in love – hook, line and sinker! Cherry on top? 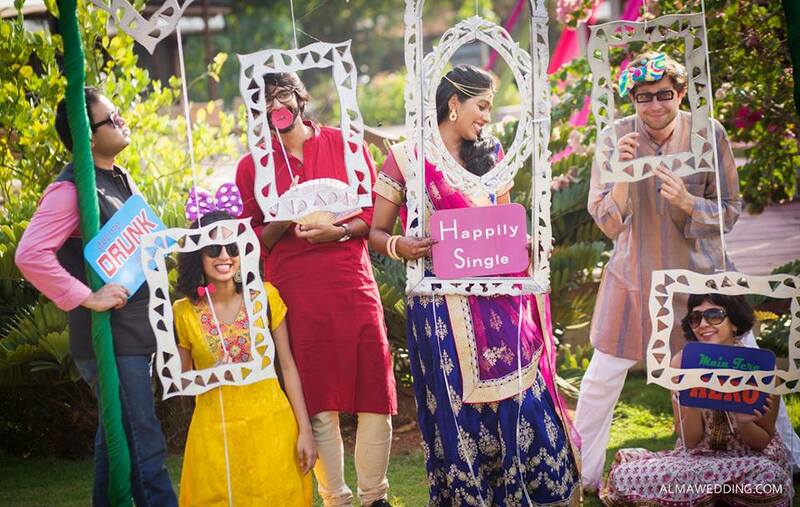 They decided to go for the Big Fat Indian Wedding ceremony… In Kerala! 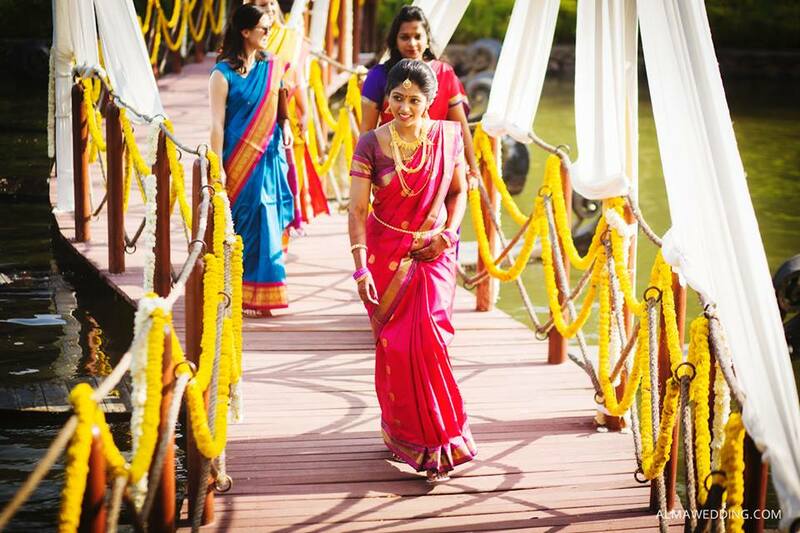 The Walk To her Mandap! 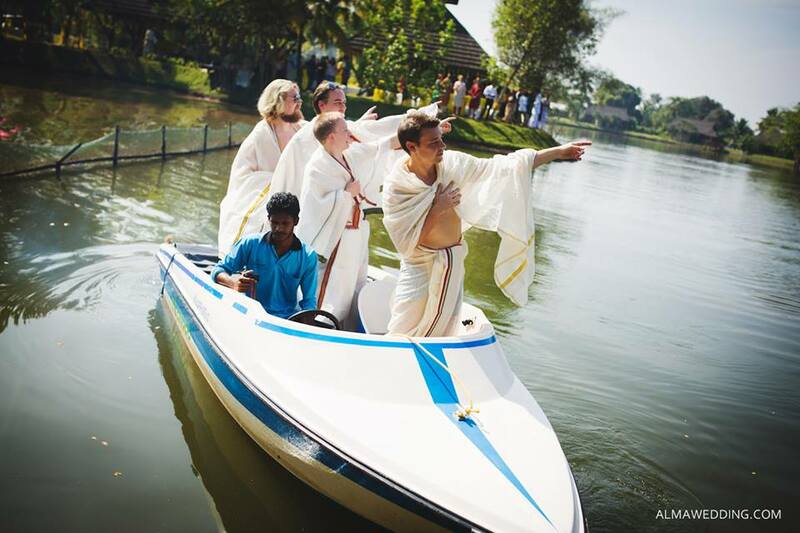 The Groom & His Best Men arrive in Lungis on a Boat! 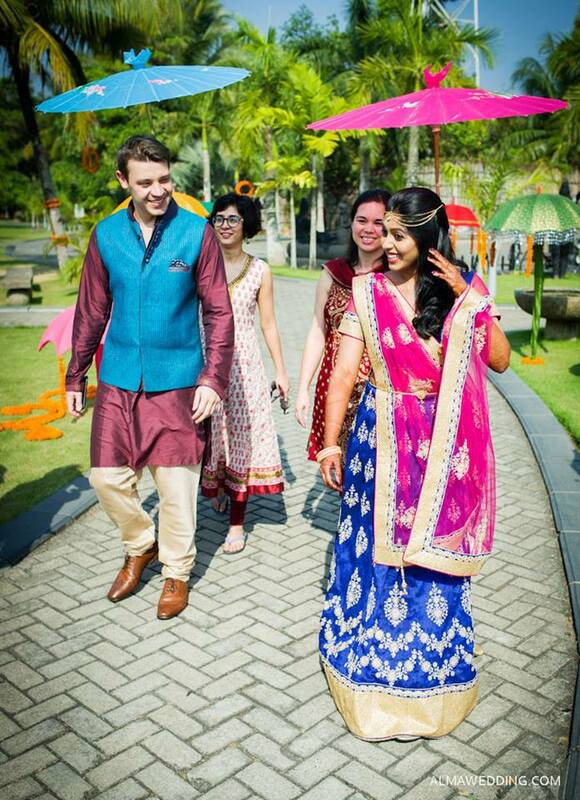 Anasuya & Ben were looking for an exotic destination to get married in India. 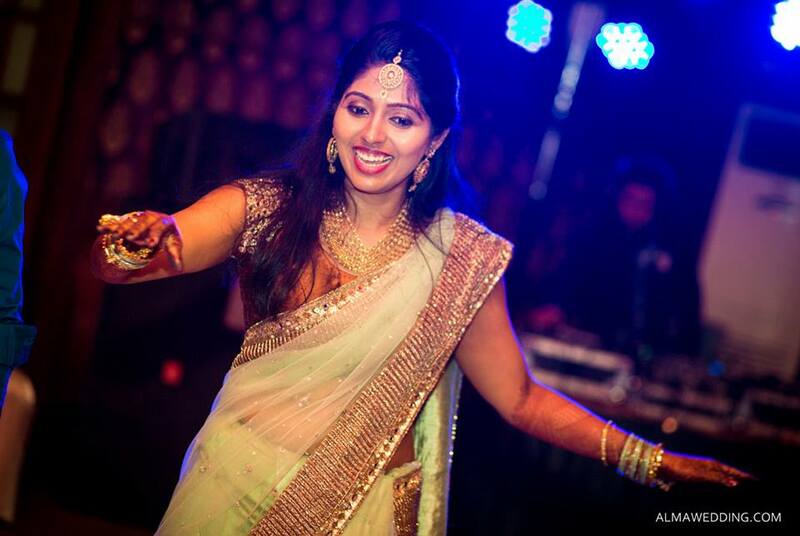 Anasuya has strong South Indian roots and finally chose the exotic Kerala backwaters – and their Wedding took place in the middle of a lake at the utterly romantic Zuri Kaumaraom, Kerala. 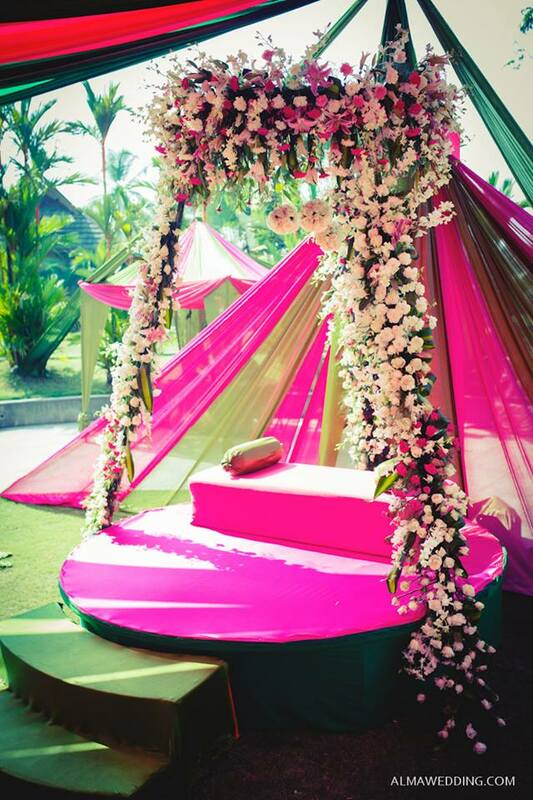 A Beautifully Dolled Up Venue! Pretty Mehndi Seating for the Lovely Bride! Love Is… Being Silly Together! 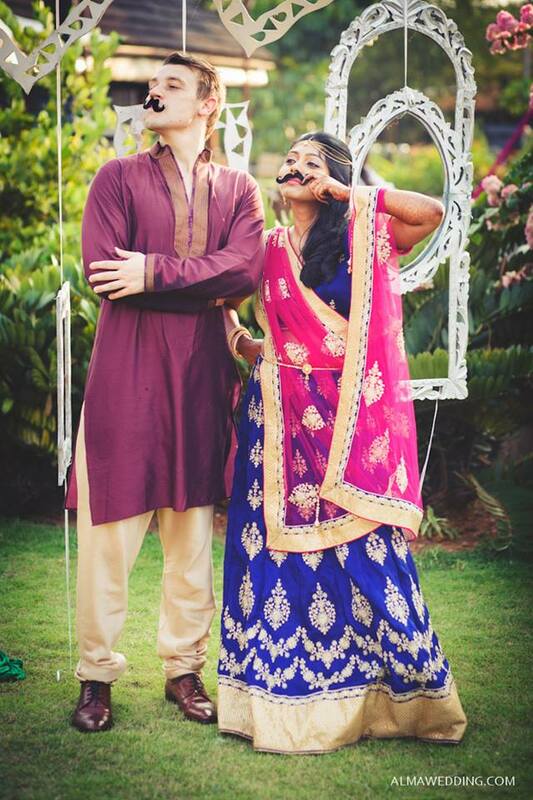 Their mehendi was on a beautiful sunny day – full of colors, with kite flying fun for the guests! 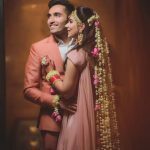 Adding colours and fun to the ceremony were mehendi walas and DJ, a funky photobooth with props and beautiful favors like hand fans, bindis and choodis for the women! Love That Glow On her Face! 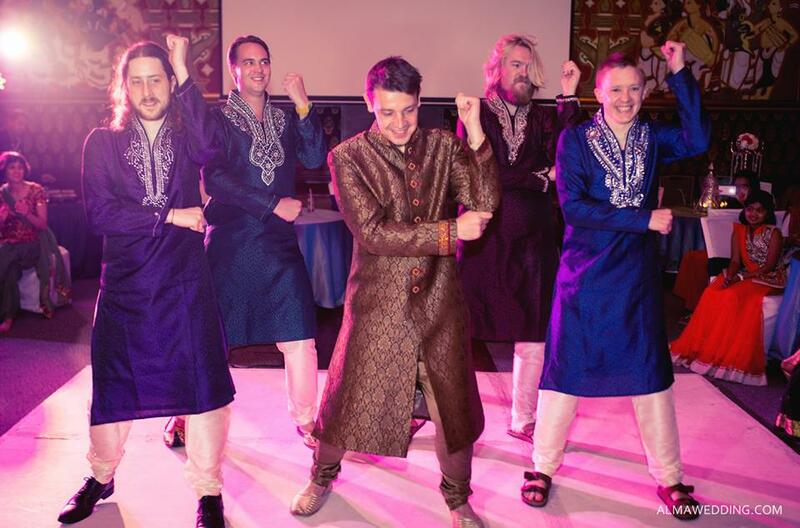 Guests danced their hearts out and enjoyed every moment of the Arabian theme sangeet. To bring their fun to the next level, we created a book called WEDLIBS to be filled by guests with all their best wishes for the Couple. 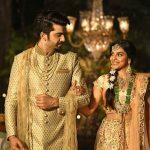 What we love about their Wedding? Guests welcomed with mogra armbands and coconut water. 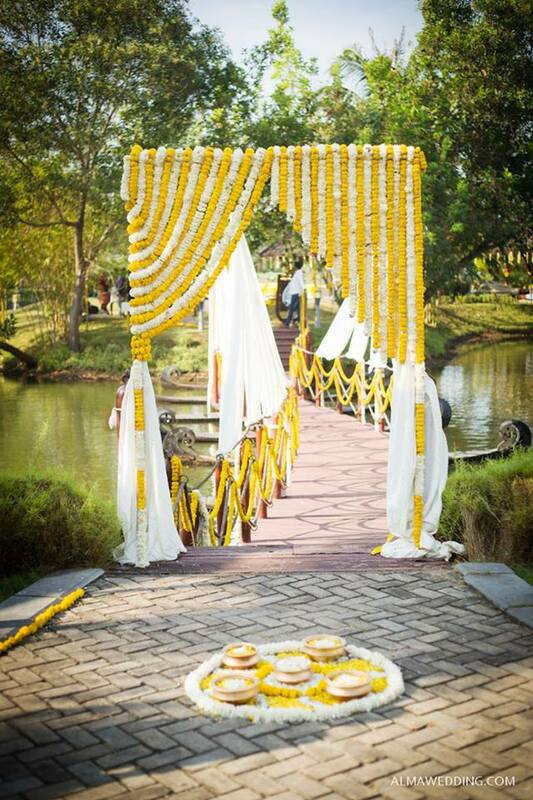 A wedding ceremony to the tune of traditional South Indian music – “Nadaswaram” and a decor full of rustic Indian charm – bright yellow genda mala and jasmine strings & banana leafs! And the way they made two cultures come together and enjoy. Psssst… a South Indian Guide to help the British guests follow what’s going on. And a Kerala style boat race in the lake for all! What do you like about this couple? 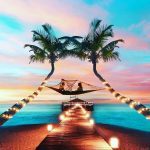 Share your thoughts!